Project aims at encouraging active ageing among the elderly. Ms Harding says the project seeks to develop a more positive image of the elderly as contributing members of the community. Late pioneer and influential tycoon Hoo Ah Kay was better known as Whampoa because his family came from that district in Guangzhou, China, and ran a food supply company under that name. So it is apt that the estate named after him is known for its good food. It is also known for a three-storey Chinese dragon fountain, built in 1973, that stretches towards the sky. Now, about 25 elderly residents are being trained as curators to tell such stories about Whampoa, as well as their own personal accounts and more, as part of Curating Whampoa, a new two-year project by the Tsao Foundation. It is one of the first major projects by a voluntary welfare organisation (VWO) aimed at encouraging active ageing by equipping the elderly with heritage curation skills and handing them the reins to shape their "living museum" across the heartland. The project is divided into four areas. The first two involve documenting stories and photos. The third focuses on recording the seniors' important and historically significant mementoes and matching some of them with collectors and historians. In the fourth area, students will do their own contemporary interpretations of the elderly's presentations. Associate Professor Thomas Kong from the School of the Art Institute of Chicago, who ran a similar project in Beppu, Japan about five years ago, is helping the VWO. In Whampoa, Prof Kong and his team discovered residents with collections of old Chinese opera newspapers and movie magazines. He told The Straits Times: "To age actively is a holistic experience and the arts can play an important role." Ms Susana Concordo Harding, director of Tsao's International Longevity Centre, agreed. She said the VWO started operating there in 2013 and is piloting the project in an effort to go beyond traditional activities such as line dancing. If it succeeds, the foundation hopes to inspire other VWOs to roll out similar heritage-related programmes in other estates. Ms Harding said: "We want to set up the infrastructure and support active ageing on-site, in their living spaces. We decided to launch this project to give more visibility to residents and develop a more positive image of the elderly as contributing members of the community." 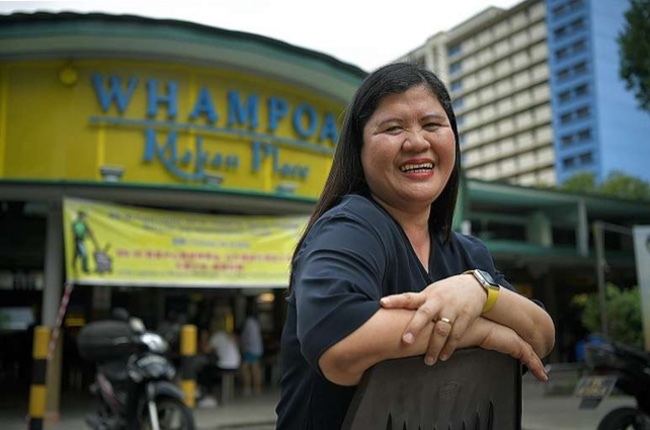 She added that she believes the project is a good fit because it taps into the psycho-social and emotional sides of growing old and finding a purpose in life. "The elderly embody history and can share this wisdom with the young in Whampoa to craft a future together," she said. One of the curators, Madam Balbir Kaur, 67, will be presenting stories about her life in Upper Boon Keng Road for the project's roving exhibition next year. She will tell her story through objects such as a pestle and mortar, and her mother's Singer sewing machine which she has kept in a corner of her flat. She said: "My mum would sew most of our clothes... Nobody had asked me about the stories behind these objects until now. I've been storing them in the house for years. I feel very proud to share about my treasures."